We just played their new game Escape from Dino Island. WOW! That's all I can say is WOW. I was floored and amazed! Simply the best escape room I've ever done! The props, scenery and atmosphere were amazing. I really felt like I was in Jurassic Park! The puzzles were SO clever and unique. They were challenging, yet so rewarding each time a puzzle was solved. Dino island has become a famous tourist attraction and countless tourists flock to the island. However due to a malfunction in the control room, there was a power outage, and now all those dangerous dinosaurs are roaming around free and uncontrollable. You are stranded on the island with no external help available and you can only depend on yourselves to survive. One hour of bravery will save your life! Will you be able to get to the park’s guardian cabin to find the map and get out before the dinosaurs get you? 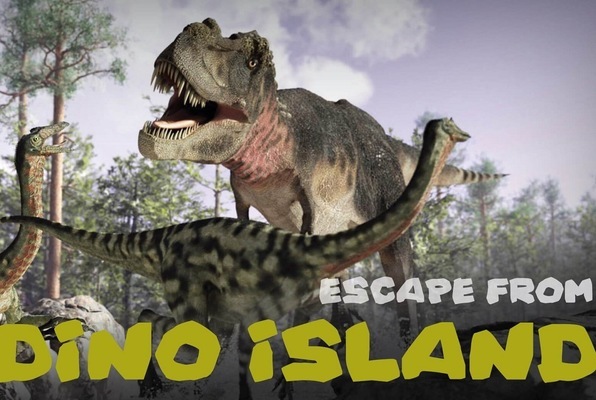 Reviews of escape game "Escape from Dino Island"